You are here: Home / Blog / Two Beers Brewing Co. Speakers Wanted! Two Beers Brewing Co. Speakers Wanted! 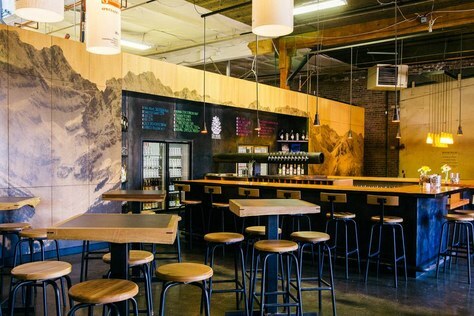 Two Beers Brewing Co. & Seattle Cider Company is seeking a speaker to present at their new tasting room, The Woods this summer on July 20, 2016 from 5:30-8pm. Come show off your Mountaineers knowledge! Two Beers Brewing Co. & Seattle Cider Company is seeking Mountaineers volunteers to host presentations at their new tasting room, The Woods. This is a great opportunity to practice your public speaking skills and show off your Mountaineers knowledge. The date Two Beers & Seattle Cider are looking for a presenter is Wednesday, July 20 from 5:30-8pm. Your presentation should be about a general topic to encourage people to go outside and enjoy the lands and waters surrounding Seattle. You can fly solo or talk with a friend. Be prepared to give 60-90 minutes of your time, which will include your audio/visual presentation, post-presentation Q&A, and discussion or mingling with attendees. This is a great opportunity for The Mountaineers to serve its mission and connect with the community, and for you to show off your skills and practice your public speaking. Beer or cider are provided to the speaker for their time and efforts. Additionally 5% of the daily proceeds on the presentation day will be donated to The Mountaineers, which will benefit the committee involved with doing the presentation. An audio/visual presentation (PowerPoint style) is preferred but any format the speaker would be comfortable is fine. The speaker will need to provide their own laptop and The Mountaineers will provide a projector. Help be the final presentation in this summer series! Contact the Events Manager, Andriana Fletcher with questions or if you’re interested: andrianaf@mountaineers.org .